With ooVoo you can make FREE high-definition video calls, voice calls, and send text chats to easily connect with friends and family. ooVoo is the highest quality video chat app, beating other leading brands of video chat hands down. Connect with friends on smartphones and tablets, iPhone, iPad, iPod Touch, and desktop and laptop PCs and Mac computers. 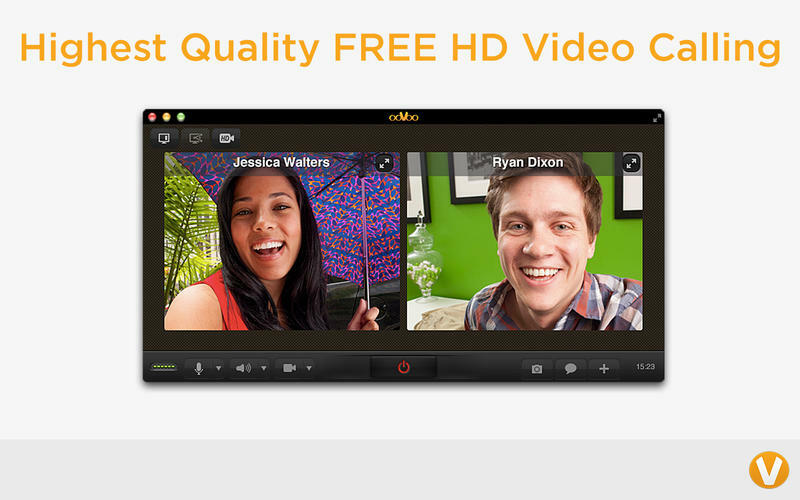 Over 90 million people are on ooVoo, it’s easy to sign up, and easy to find your friends. 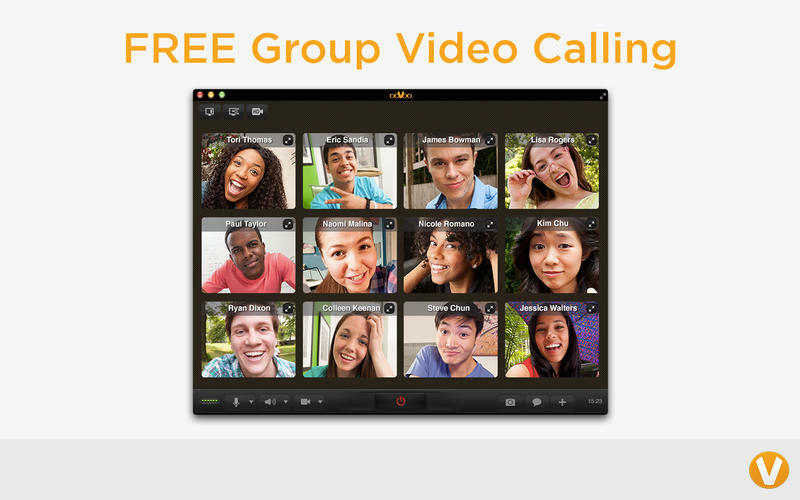 •Group video chat – With ooVoo, you can add up to 12 people to a high quality FREE group video call. Enjoy high-definition video calls with your friends and family. •FREE voice calls – Make crystal-clear free voice calls and stay in touch with your friends wherever they are. Talk with other ooVoo members for as long you want to. 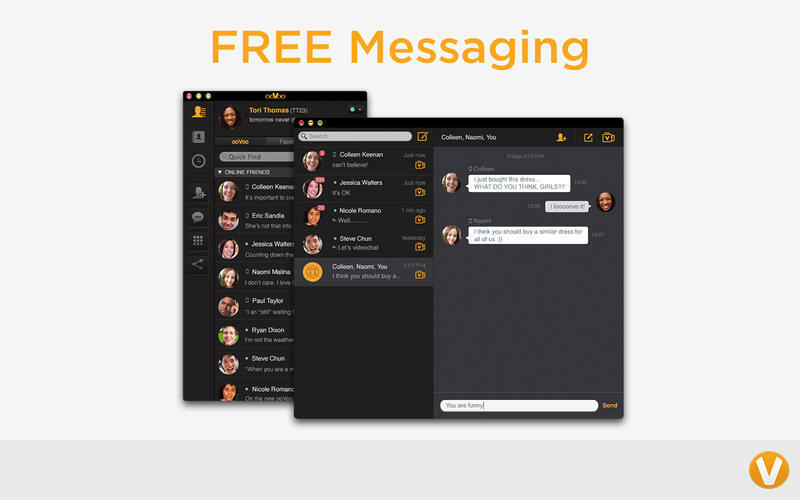 •Instant Messaging – Send text messages to your friends with ooVoo - even while you`re on a call. •FREE screen share – With screen sharing, you can get everyone on the same page quickly. Share you screen with anyone on ooVoo for FREE. •Search for friends on ooVoo, Facebook, Twitter, Gmail and your personal contact list. •People You May Know – We did all the work for you so that you can easily add more friends. •Review your conversation history and messages and resume them with one touch. •Call Me Link – Start a video call with friends who don’t have ooVoo by sharing your Call Me Link on Facebook or sending it by email. •SuperClear™ video – ooVoo’s proprietary technology which adjusts for packet-loss on low-bandwidth video calls, resulting in the highest quality video chat on mobile without increasing data consumption.